I am a huge fan of Rasams. No south Indian meal is complete without it. There are different varieties of rasams and using rasam powder they can be prepared in a jiffy. I tried this Rasam powder recipe from Nalini's site almost a month ago but still couldn't post it. May be today is the time for it. Dry roast the ingredients separately. Don't let it change color. Grind adding ingredients in the following order. First toor dhal, then coriander seeds, red chillies, curry leaves then cumin seeds and pepper. The resulting powder has to be coarse. The powder can be stored in room temperature for a month and in freezer for upto 6 months. 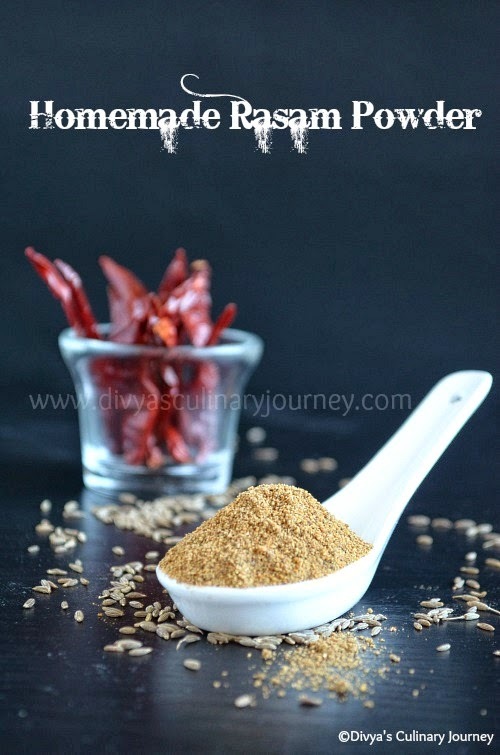 Here is the recipe of Paruppu Rasam I made using this Rasam powder. I've always wanted to make homemade spice powders, but always end up reaching out to the ready made ones at the market...just lazy i suppose. I should try making some myself one of these days. Lovely pics Divya. My pantry will always have this rasam powder, cant survive without rasam. Thank you so much for trying this..Nothing beats the flavor of home made powder.Nice clicks. 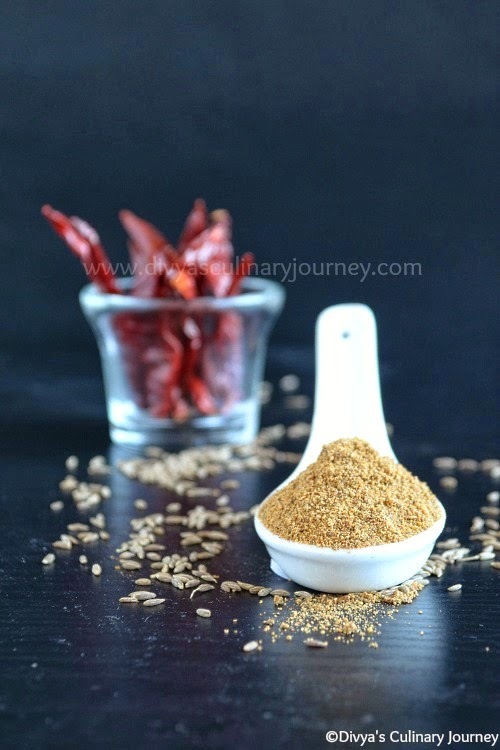 Flavourful and aromatic rasam powder..
lovely clicks of that flavorful Rasam powder, love rasam with rasam powder a lot than the plain rasam but never tried home made version, will try it soon! Lovely clicks and beautiful presentation..